The buzz over “The Force Awakens” may finally be dying down, but all of the excitement of the Newport Winter Festival is still ahead. And with a theme like “May the frost be with you,” this year’s event promises to be more thrilling than ever before. 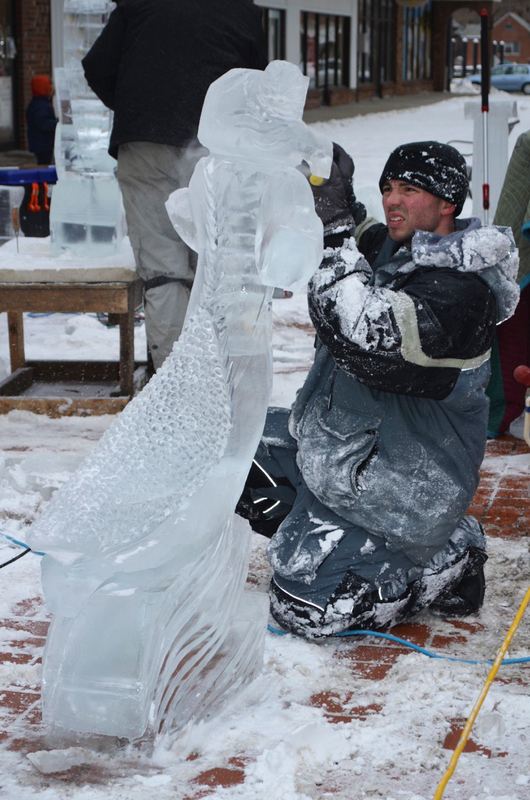 If you’re thinking of paying a visit to Newport during this popular event heralded as “New England’s Largest Winter Extravaganza,” here’s what you need to know. Scheduled for February 12th-21st in Newport and Newport County, the 28th Annual Newport Winter Festival comprises more than 150 events over 10 jam-packed days of food, festivity and fun. This year, event organizers are trying something new with the introduction of Winter Festival Bracelets. When you “Brace yourself” for just $10, you’ll not only enjoy a snazzy new accessory, but also more than $500 worth of savings in everything from free admission to discounts at festival events, local businesses and restaurants. Winterfestival Bracelets can be purchased at select locations in and around Newport or through the Newport Winter Festival website. With so much going on, how do you even know where to begin? We’ve rounded up a few of our favorite must-see and can’t-miss activities taking place during the festival. From the super-cool (Bailey T’s Ice Sculpting Demonstration) to the fiery hot (the 20th Annual Samuel Adams Chili Cook-Off), there’s something for everyone at the Newport Winter Festival -- including plenty of ways to quench your thirst, such as the Annual Best Hot Drink Contest, the Thomas Tew Rum Cocktail Contest, and the Tropical Drink Contest. For the second year running, the Hyatt Regency Newport Hotel and Spa’s Pineapples on the Bay will transform into Polar Pineapples at 4pm on Fridays and Saturdays during the Festival. Bay views, specialty drinks, and an ice luge make for an unforgettable experience. Bracelet holders enjoy free hot chocolate at the Five33 Lounge from 4-9pm. We also recommend a stop at the all-new Newport Vineyards and Brix Restaurant for “WINEterfest,” featuring live music, food sampling, and wine tasting (natch) at the soon-to-be-legendary Ice Wine Bar. Music lovers have their pick of shows ranging from “Beatlemania” to Changes in Latitudes, the country’s premier Jimmy Buffett tribute band. Families, meanwhile, enjoy the 16th annual “Live Jazz for Kids” show -- just one of many child-friendly Winter Festival events. Make sure to set aside some time to visit the Newport Mansions during your visit. Winterfestival bracelet holders will receive $2 off admissions to The Breakers, The Elms and Marble House, as well as 15 percent off of purchases at the Newport Mansions gift shops and Bannister’s Wharf store. And that’s just the start. From comedy shows and bridal events to beach polo and an illuminated garden, the list goes on and one. To start planning your own itinerary so you don’t miss a thing, check out the online calendar. While the verdict is still out regarding whether Punxsutawney Phil will be correct on his prognosis of an early spring, there’s no need to rush winter's departure when the Newport Winter Festival offers so much to look forward to between now and warmer weather -- including the chance to make us your home base during these February festivities. Because while it may be chilly outside, a stay at The Chanler is always haute.